Slovenia’s crème de la crème awaits your discovery! Packed, yet comfortable, our mini vacation in Slovenia is a dream for anyone short on time but with an ambition to learn and explore. We will also pay a visit to our neighbours and hop across the border to Zagreb and Venice. Bringing a camera with you is advisable – and a big smile on your face is guaranteed! Our multi-day tour package Mini Vacation in Slovenia includes a selection of the most precious places to visit in the area in only 5 days. Apart from Slovenia’s winning trio Ljubljana, Lake Bled and Postojna Cave, we are also taking you to the elegant Croatian capital Zagreb and Venice, the magical city of marble palaces. Fasten your seatbelt and prepare to be amazed! Our agent will welcome you at the Joћe Pu?nik Airport Ljubljana and take you to your hotel for check-in (after 14:00). You will have time for unpacking and lunch and in the afternoon, our tour guide will take you on a panoramic sightseeing tour of Ljubljana, proclaimed by the European institutions the »European Green Capital 2016«. To feel its cosy urban vibe, we will walk through the scenic Old Town and see its main attractions, from Prešeren Square and Tromostovje (Triple Bridge) to Town Square with its baroque fountain and Town Hall. We will walk up the Ljubljana Castle Hill and admire its panoramic view of this lovely city. Overnight stay in Ljubljana. In the afternoon, we will drive to another part of Slovenia – Gorenjska (Upper Carniola) Region – to the most renowned tourist place in Slovenia, Lake Bled. 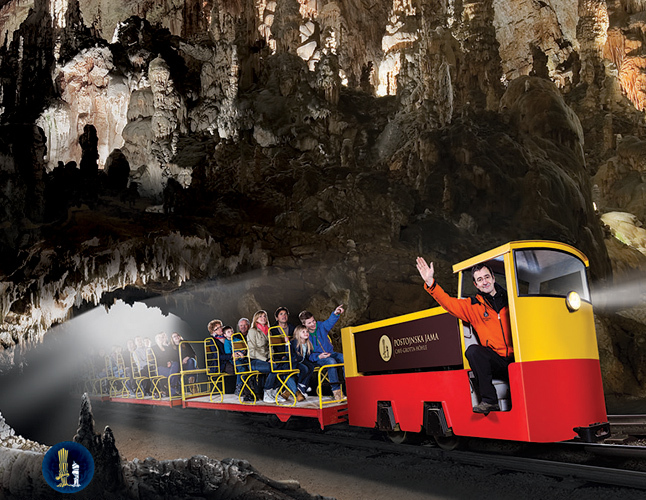 En route, we will visit the magnificent Vintgar Gorge nearby (typically open April – November). Bled is a place for relaxation and enjoyment and you can decide how you want to spend the next few hours at the resort by choosing from the possibilities you will learn about. Our guide can take you on a tour of the majestic Bled Castle (optional), which is located on a steep 139 m high cliff overlooking the lake and offers a heavenly view of Lake Bled, as well as the surrounding alpine mountaintops and valleys. Bled Castle, first mentioned in 1011, is one of the oldest Slovenian castles. You can admire the old wooden Gutenberg printing press and the castle’s smithy, while Bled Castle is also famous for being one of the most beautiful wedding venues in Europe. Alternatively, you can take a pleasant walk around the lake or join a “pletna” boat ride to the island in the middle of the lake, which is named after the town of Bled and is, in fact, the only island in Slovenia. You can take a look at an impressive medieval church and its “wishing bell”. After that experience, you can take some time to treat yourself to a good cup of coffee, enjoying the beautiful view of the lake at the foot of Pokljuka and tasting the traditional local dessert “kremљnita” (cream cake), which has been made in Bled for over 60 years. Return to Ljubljana in the evening, overnight stay in Ljubljana. After breakfast, we will visit Venice and enjoy a panoramic sightseeing tour of this wonderful lagoon port, which is also the capital of the Veneto Region. You will get to see the famous St. Mark’s Square and Basilica with its exceptional gold mosaics, the Grand Canal and bridge Rialto, the Doge’s Palace and the evocative Bridge of Sighs, and much more. While walking to St. Mark’s Square and around the town, you will get to feel the romantic Venetian ambience and admire its attractions along the way. While it can be hard sometimes to find your way around the narrow streets of Venice, our guide will make it a piece of cake to navigate them! We will of course also find some time to enjoy high-end shopping, delightful coffee and delicious tiramisu. Return to Ljubljana in the evening, overnight stay in Ljubljana. All applicable tolls, fees and taxes. Our tour guides can take you on sightseeing tours of Ljubljana to show you its main attractions, from Preљeren Square and Tromostovje (Triple Bridge) to Town Square with its baroque fountain and Town Hall. Another thing you cannot go without is climbing the Ljubljana Castle Hill and admiring its panoramic view of this lovely city. 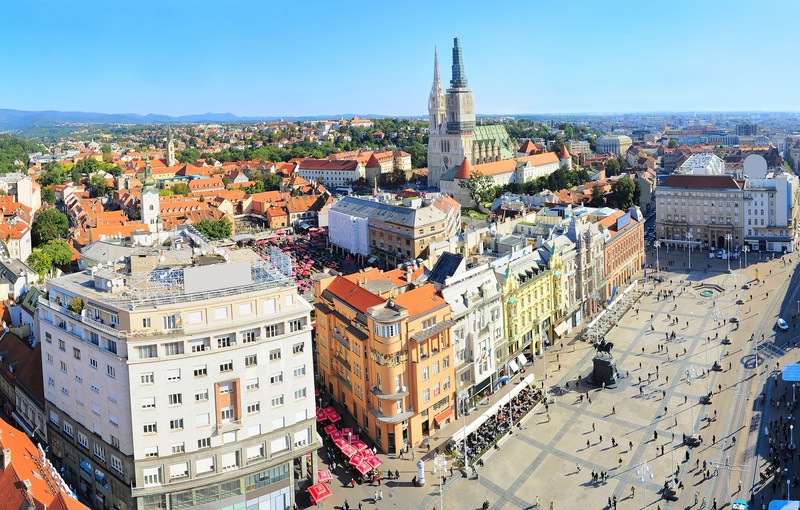 Must-see attractions in Zagreb are Donji grad, Kaptol with the Zagreb Cathedral (the largest church in Croatia), Gornji Grad, Bloody Bridge, Stone Gate and St. Mark’s Square. As Croatia’s capital city, Zagreb has a lively urban, cultural and art scene full of lovely cafйs, events, gallery and other exhibitions. Visiting the Tivoli Park is a must! You can walk under the oak trees, see an open-air exhibition and feel the care-free urban vibe there. You can take a Ljubljanica Boat Cruise, go SUP-ing or treat yourself to some gelato in one of the ice-cream shops. The best cafйs and restaurants are found in the Old Town, laid-back during the day and full of life and lights during the night. To discover the world-famous Venetian culture, there are numerous museums, art galleries, palazzos and palaces you can visit. The heart of Venice is by St. Mark’s Square with its Basilica and Campanile San Marco, with cafйs and restaurants nearby. If you wish to ride a bit further away than the canals, you can take a trip to the lagoon islands of Murano, Burano and Torcello.